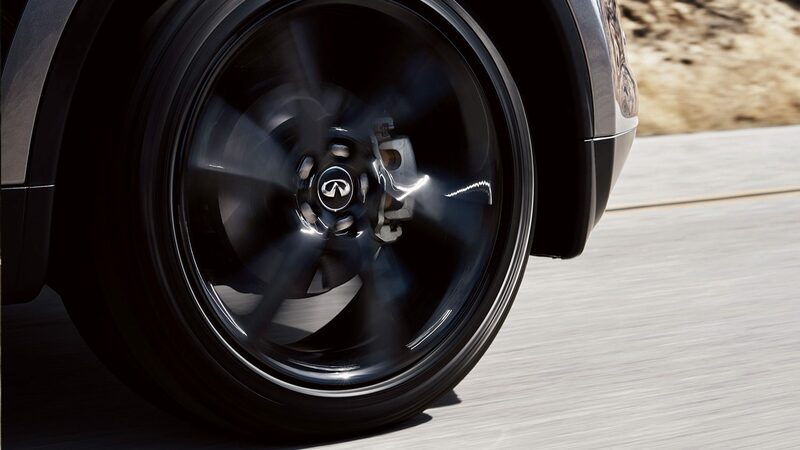 Disrupt the status quo with bold style that tells the world you dare. 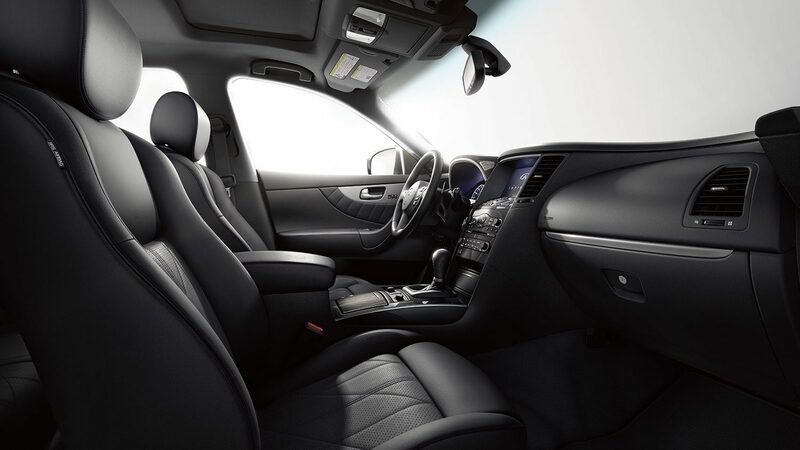 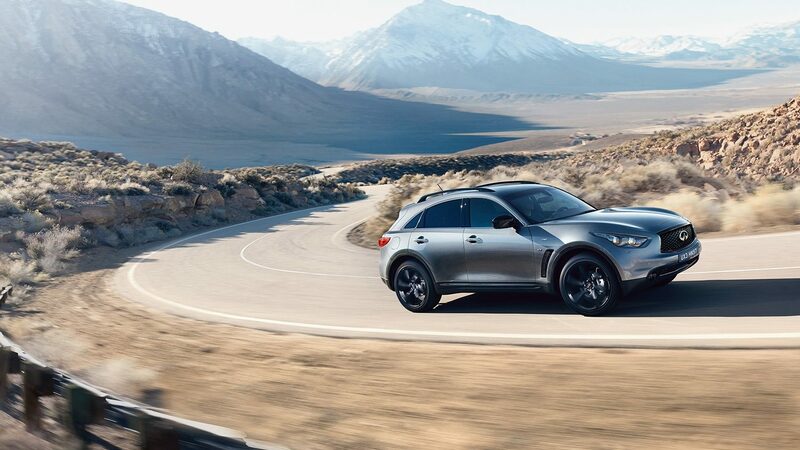 With its sports car-inspired silhouette, the INFINITI QX70 leaves an impression that’s both instantaneous and unforgettable. 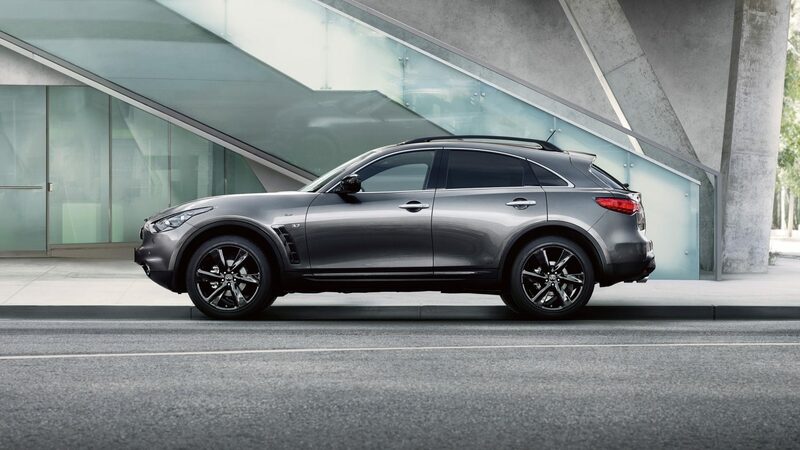 Undeniably INFINITI—the double-wave hood rises to meet the elevated front fender, conveying a dynamic, expressive design. 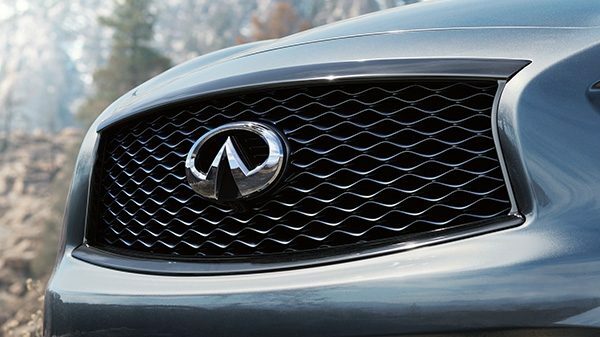 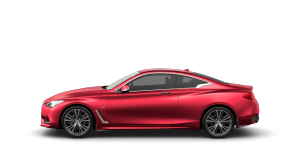 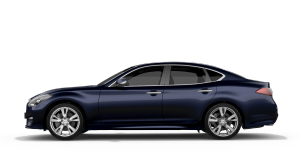 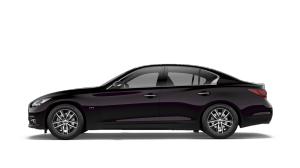 Expressing signature INFINITI double-arch design, the refreshed grille features a honeycomb-patterned mesh that accentuates its sporty character. 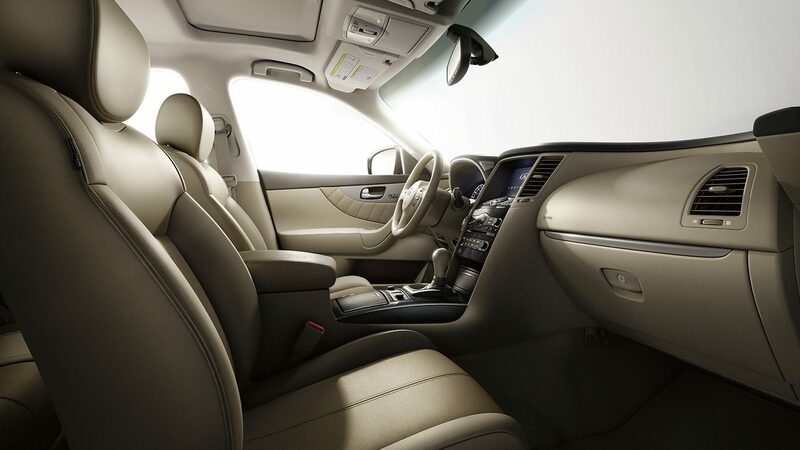 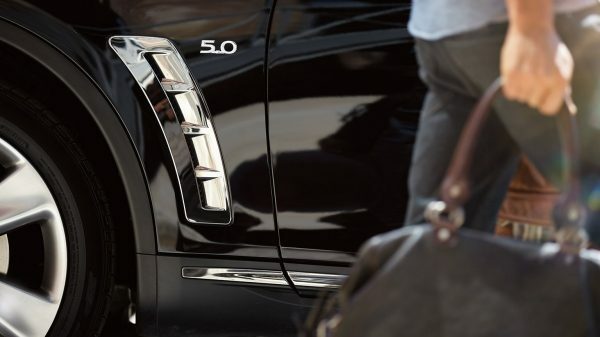 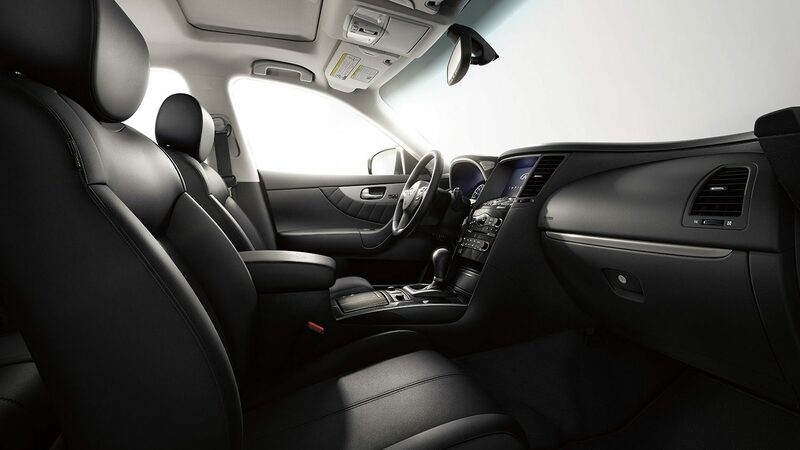 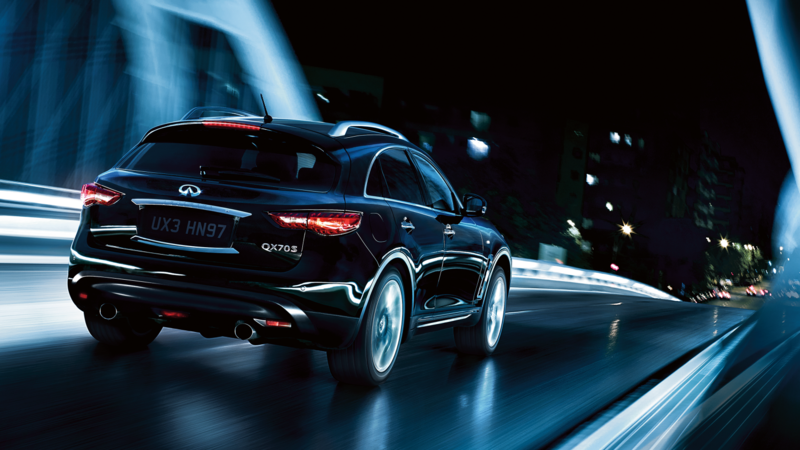 The arc of the bottom, like a natural reflection of the top, gives the QX70 a distinctive appearance. 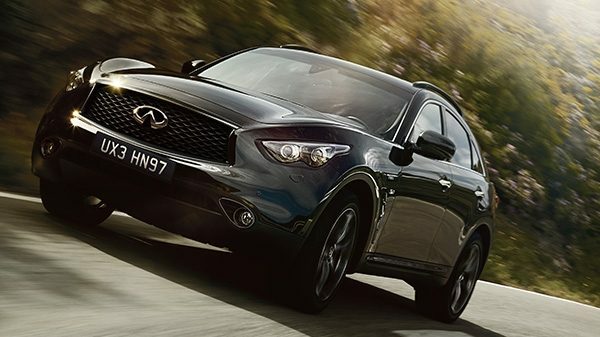 Large 21-inch alloy wheels not only complement the muscular proportions of the QX70, they are designed to make handling more responsive. 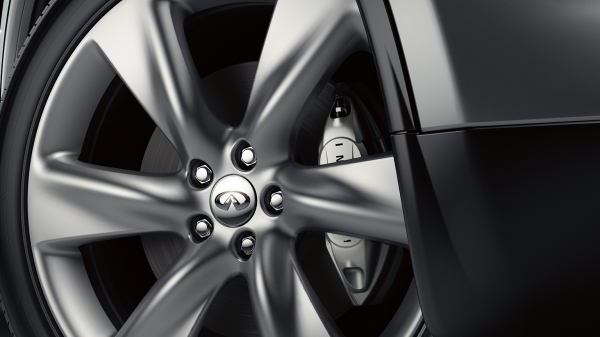 The lightweight construction inherently reduces unsprung weight and helps contribute to quicker turn-ins. 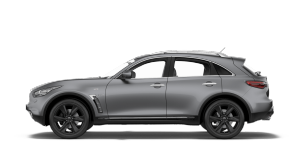 Finished in dark chrome, the air vents behind the front wheels give the the QX70 an even bolder exterior while reducing front-end lift so you can feel closer to the road. 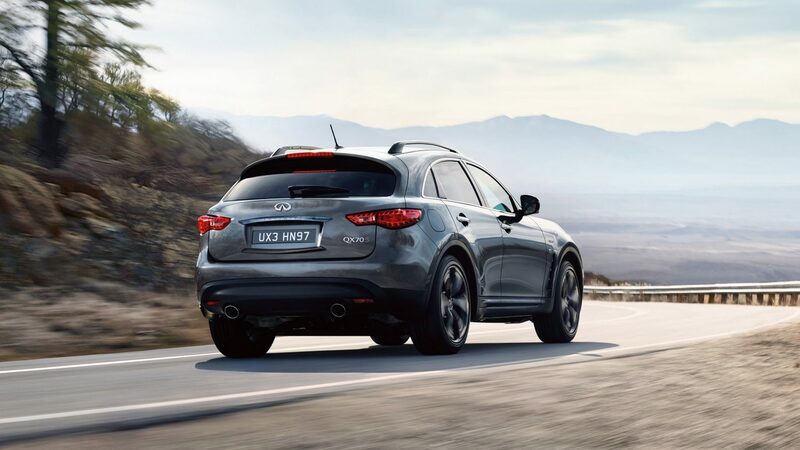 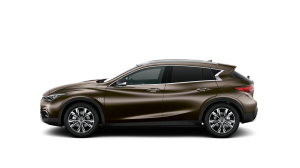 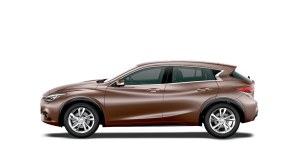 The sloping roofline smoothes the airflow over the QX70’s distinctive shape, resulting in a low 0.35 coefficient of drag. 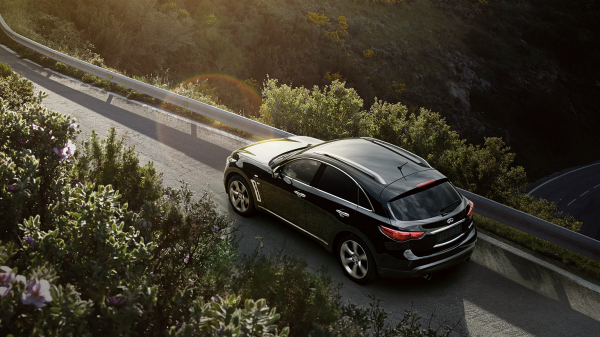 Efficient aerodynamics reduces turbulence for lower fuel consumption and quieter cruising. 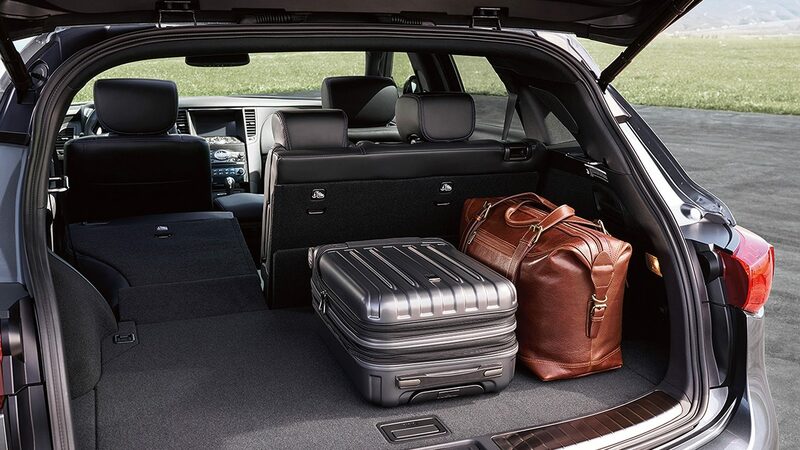 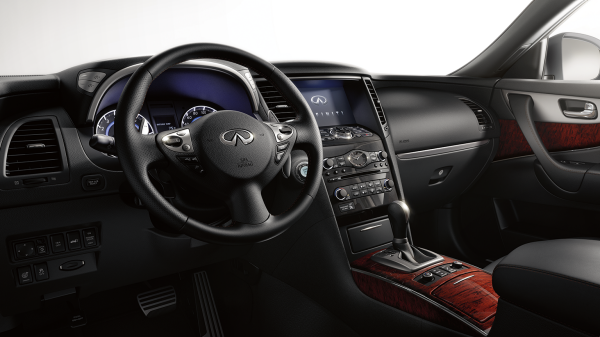 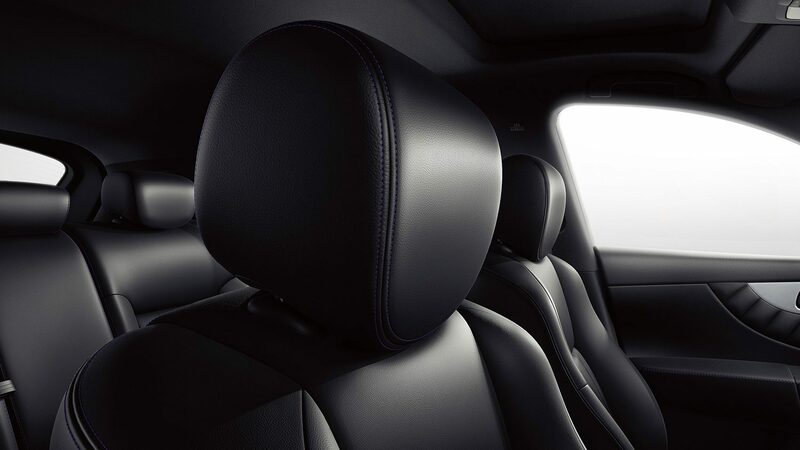 Everything you see and touch is finely crafted from luxurious materials and designed to focus on the individual seated inside the cabin. 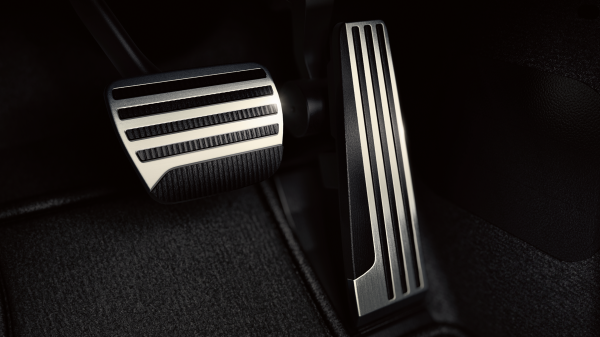 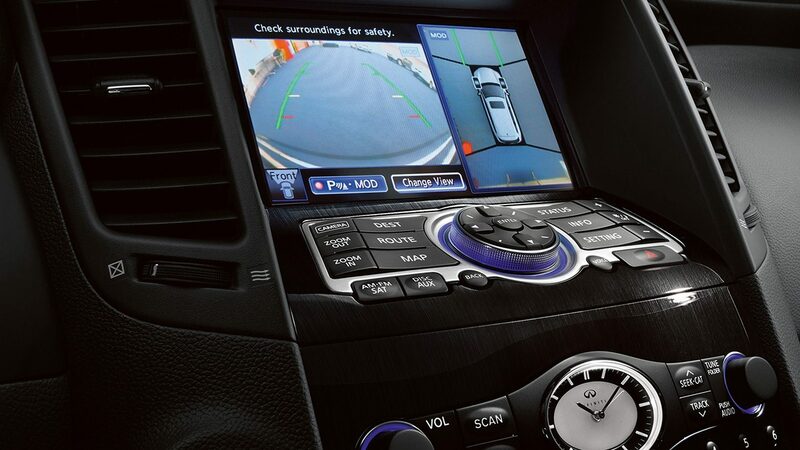 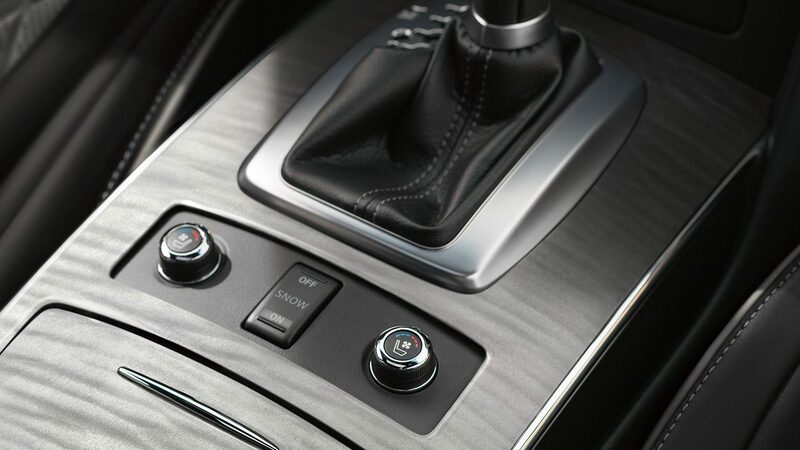 Wherever the dash meets the door or centre console, precision design means the alignment looks perfectly seamless from the driver’s point of view. 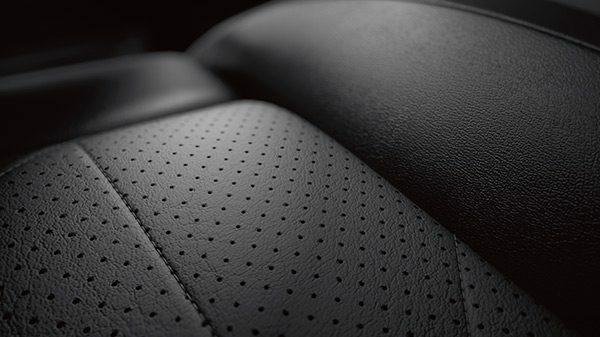 The leather-appointed front and rear seats feature a quilted cross-stitch design that adds texture to the seatback and bottom cushion. 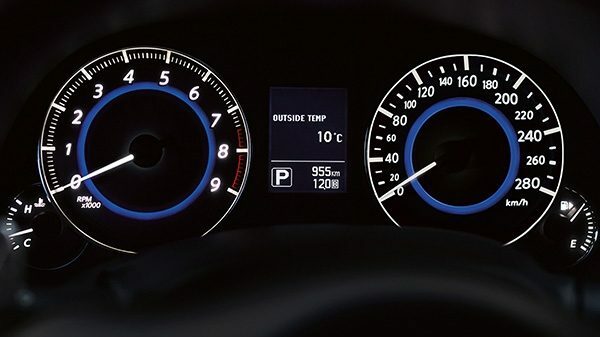 The soothing glow of the Fine Vision electroluminescent gauges is designed to not only be brighter, but the contrast delivers information clearly, even at a glance.